Naya Rivera Kicked Off ‘Glee’ For Causing Too Much Drama? Lindsay Lohan: Lawsuit Over $40K Owed To Tanning Salon! Lindsay Lohan’s Latest Mug Shot! Jersey Shore‘s Sammi, Ronnie & Deena Spotted on Spring Break! So How Did Eva Longoria Find Out Tony Parker Was Straying? 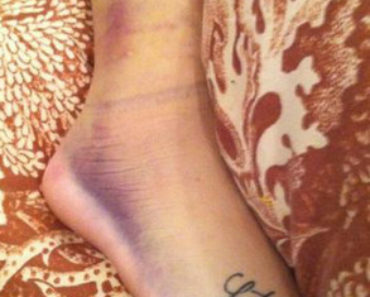 Demi Lovato Fell At Home, Wearing Cast! Reese Witherspoon Apologizes For ‘Behavior’ After Disorderly Conduct Arrest!